As you know, last August we got married and Chris and I received some vouchers for The Pig hotel from some friends- they could be used towards a hotel stay, food, or a spa treatment. 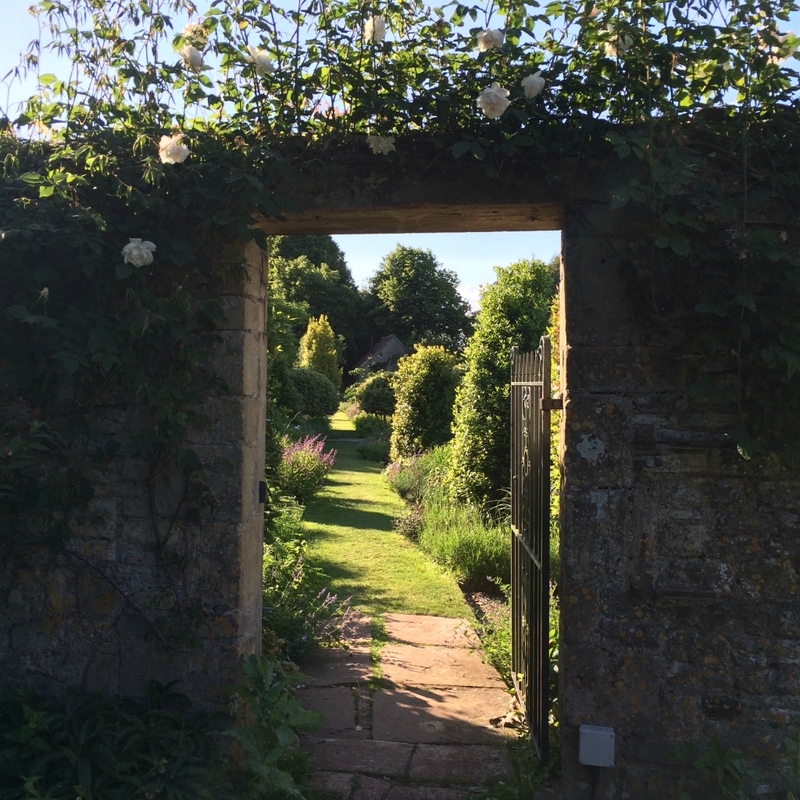 We decided to put them towards a two night stay at the Pig Hotel near Bath so on Sunday we made our way to the south of England for a little staycation. 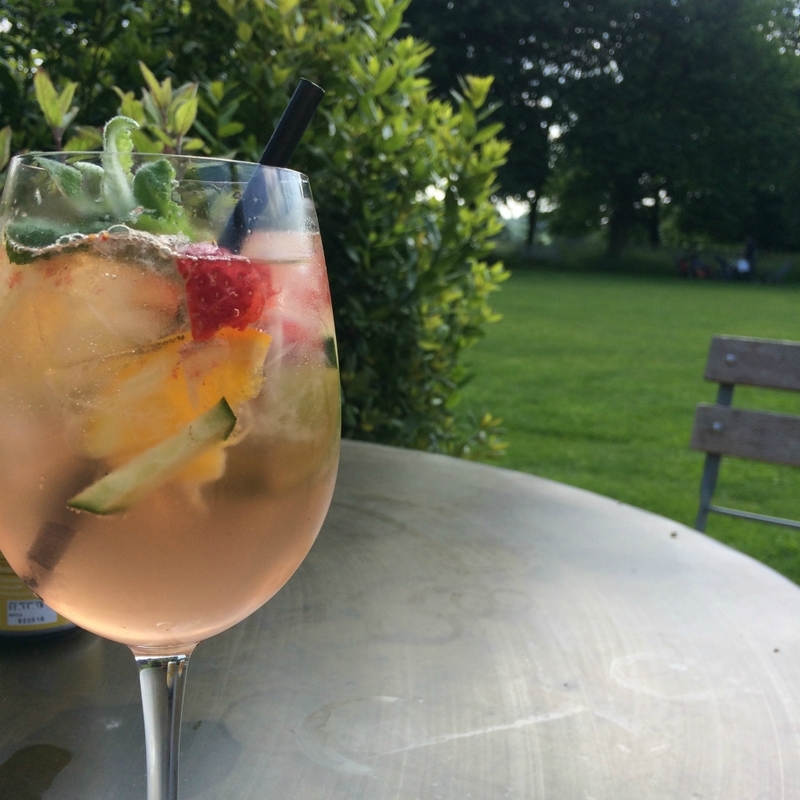 We were so lucky as the weather was scorching and we felt like we were abroad as we wandered around the centre of Bath and enjoyed drinks in the gardens. 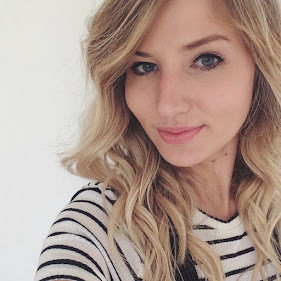 I love reading hotel reviews so wanted to share my thoughts. 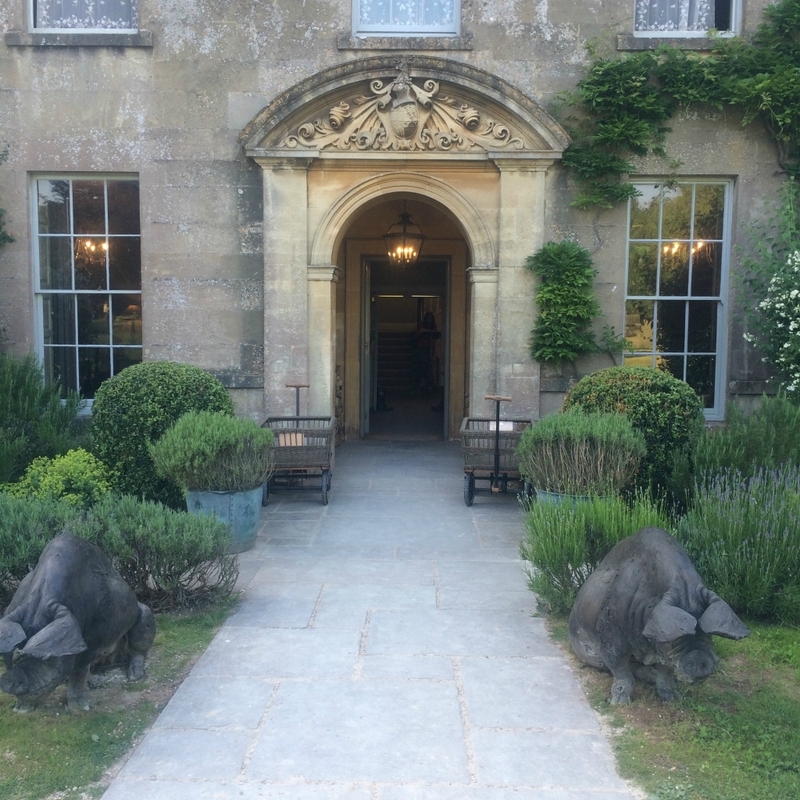 The Pig near Bath is one of 5 hotels in the chain and they are rapidly expanding with three more opening in 2019. 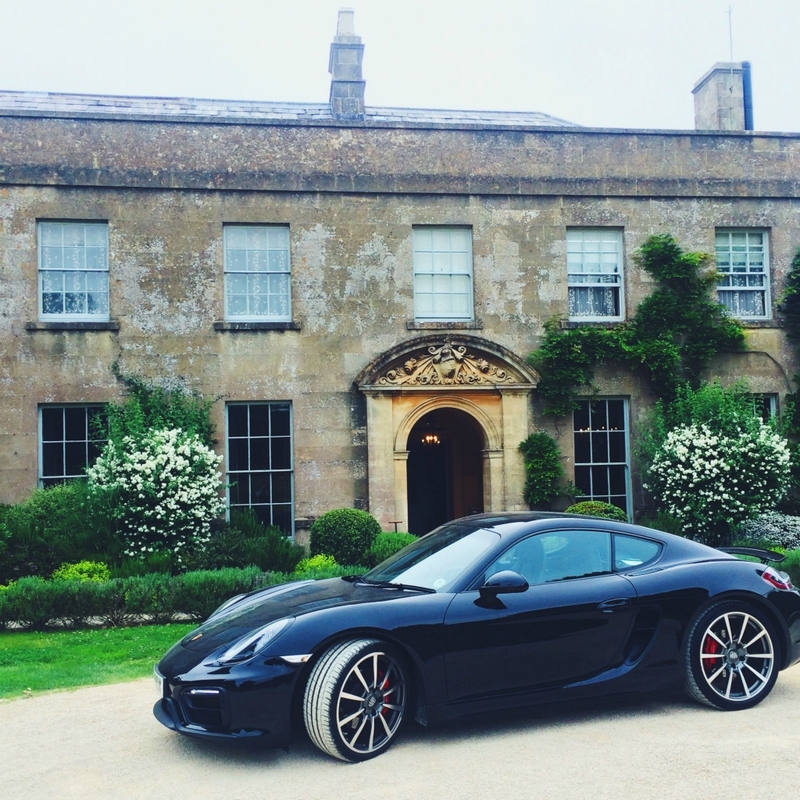 It's in a really idyllic location with a sweeping drive and feels instantly relaxing as you get out of the car. The hotel is about a 15/20 minute drive from Bath so you're not in the city centre - something you might miss! We drove down so it was easy to pop into the city centre and to nearby pubs but would be more tricky without a car - although you could easily get taxis to and from it. As you can see from my photos, it's a beautiful hotel and really feels like a country retreat. 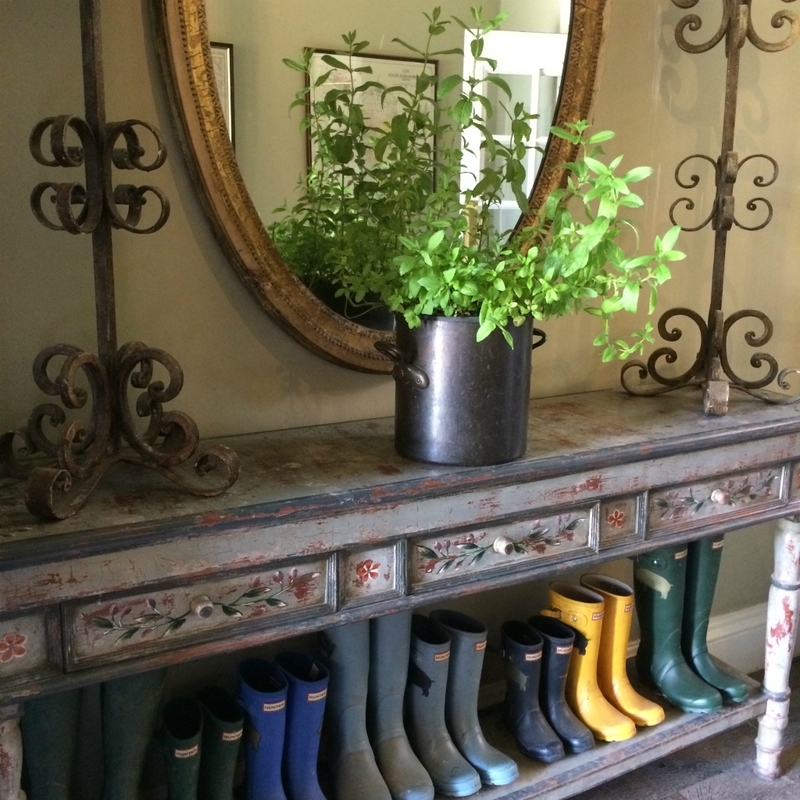 Hunter wellies line the entrance hall and there's a really homely feel, despite there being 29 bedrooms. We checked in with the lovely reception girls and were given a tour of the hotel before being led to our room. 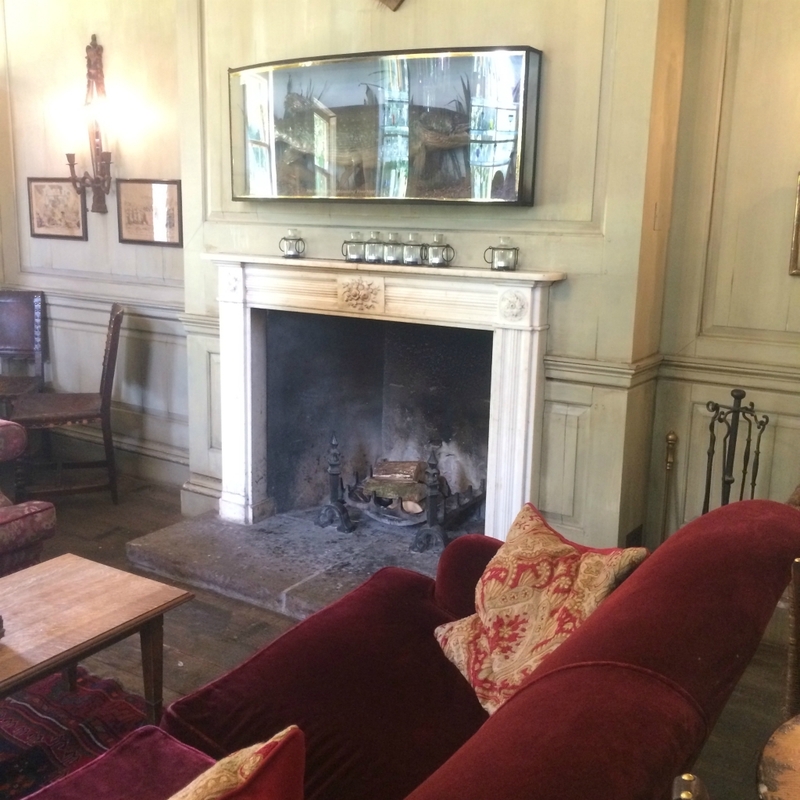 There are plenty of rooms and spaces for just chilling out with plush sofas and open fires (would be so cosy if you're visiting in the winter) and there is a outdoor terrace and huge garden which was perfect for us to enjoy the weather. We loved sitting outside with a drink and reading our books in the sunshine. The hotel grounds are also worth exploring. 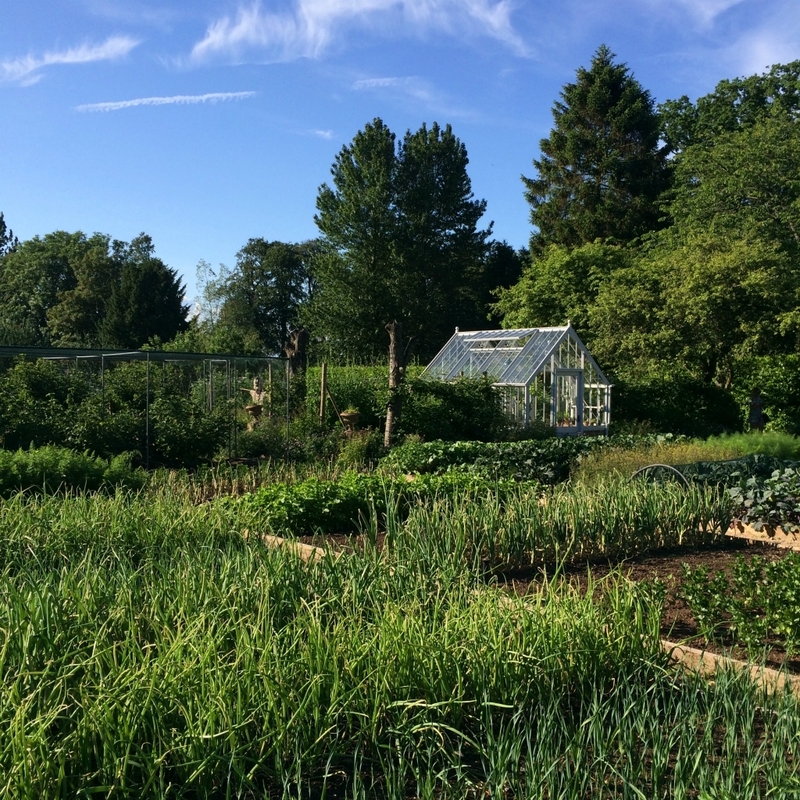 You can walk through their impressive kitchen garden (where most of the food comes from) and go and visit the pigs! 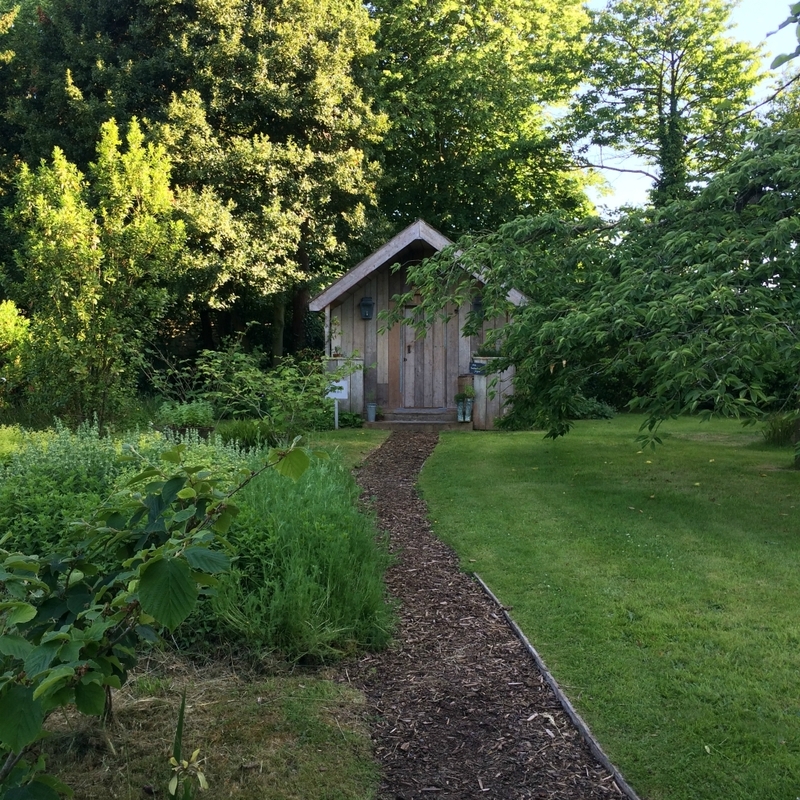 You can also find their Potting Shed here which is where the spa treatments take place. We didn't try one but my friend said it was the best massage she's ever had. If you just want a relaxing stay you could easily stay within the hotel grounds and just enjoy them. We stayed in a Snug Room which is located in the main house. These rooms are slightly smaller than the more expensive ones, and feature a shower rather than a bath and shower. Usually I'm all about the bath but the monsoon shower in the room was amazing and I didn't want to get out of it! The room is beautifully decorated in the hotel's signature style and gave me a lot of decor inspo. There are lots of nice touches too - you get mini size Bramley toiletries (my favourite! ), a larder stocked with snacks (tea & coffee is free), a small selection of magazines and a Roberts radio. My only complaint would be that if you wanted biscuits with your tea you had to pay for them and I think these should be included - but a minor niggle! The bed was super comfy and I am going to email them to ask where their bedding is from as it was so luxurious. I love hotel bedding! The Pig describes itself as a 'restaurant with rooms'. A type of hotel that seem to be popping up more and more. They pride themselves on a 25 mile menu where everything is sourced locally and the menu changes regularly. They have a beautiful greenhouse restaurant where we had dinner on our first night. If I'm honest we were slightly disappointed with the food - it wasn't cheap and I think we expected a little more. Don't get me wrong - it was beautifully presented and really tasty but we weren't blown away. I think our recent trip to South Africa has spoilt us slightly! Breakfast isn't included in the room rate and again, isn't cheap at £11 for the continental spread and £17 for both the continental and a hot breakfast. We had breakfast there on one day and both went for the continental. It's a really great spread with a lovely selection of pastries, juices, granola stations, fruit, toasts and spreads - all labelled with where they've come from. There was honey from their beehive and eggs from their hens (I very much enjoyed the boiled egg station!). It's also lovely to sit in the greenhouse restaurant and to enjoy the peacefulness of your surroundings there. Drinks-wise, they have an amazing selection and their cocktails are amazing! Obviously I'm not drinking but their mocktails were delicious and most include Seedlip gin (the first non-alcoholic spirit) which is my new favourite thing! I also tried kombucha for the first time. The staff really know their stuff and was great to chat to them about the different drink offerings. 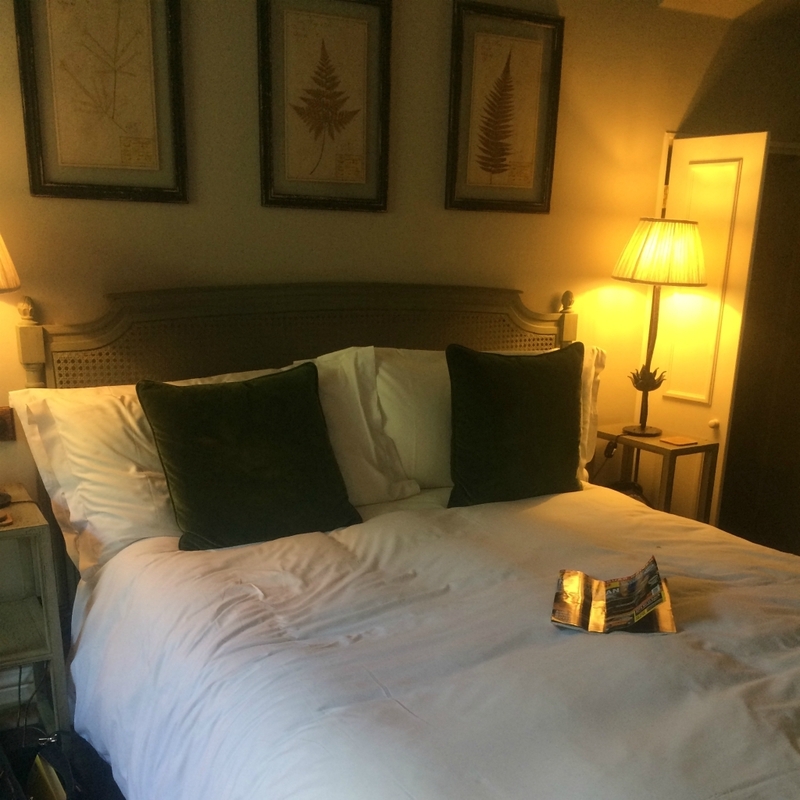 We loved our stay at The Pig and would love to return, and to try out their other locations. It was everything we wanted from a hotel - beautiful location and decor, really friendly staff with amazing service, good food and comfy rooms. The only slight disappointment for us was the evening meal, and having to pay extra for the breakfast but it wouldn't stop us from going again. We will definitely be back!